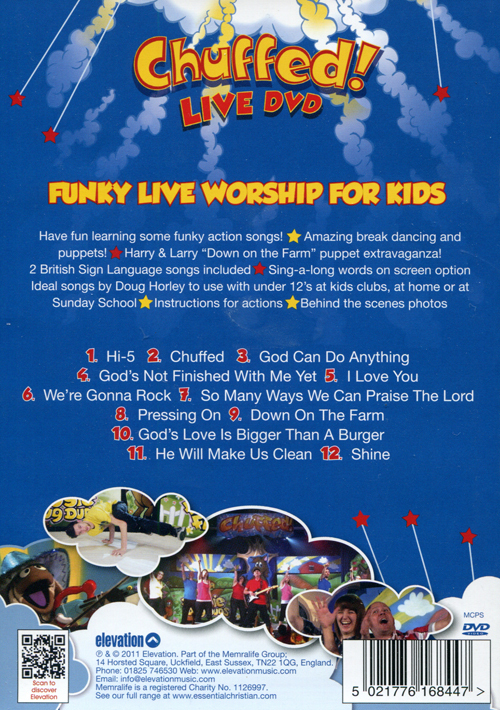 A brand new DVD from Duggie Dug Dug, capturing his unique Praise Party in all its colour and energy! Packed full of visual treats, action songs, fun, games and laughter, everything Doug does is underpinned by Bible truths and a deep desire to communicate God's love to small people! Includes a host of bonus features as well as many of the songs from the album Chuffed. 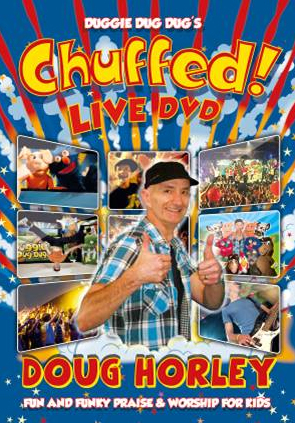 Chuffed!Live Dvd by Horley, Doug was published by Essential Christian in January 2012 and is our 3792nd best seller. The ISBN for Chuffed!Live Dvd is ELE1684A. Got a question? No problem! Just click here to ask us about Chuffed!Live Dvd. I want the sheet music to God's love is bigger than a burger and I Love You. Is this in the Song Book? A:Sadly, having contacted the publisher we have been unable to obtain an answer to your question. Any new information regarding this product will be added to the site when we receive it.